NEPTUNE BEACH, Fla. -- The new year ushered in a major landscaping change on 1st Street as nearly 100 new sable palms stand tall, replacing ones that died or were destroyed over the years. "Mostly construction, there were some large city projects in the 80s and 90s that really tore up the system," said Joshua Messinger, who heads up the Ish Brant Beautification Committee. 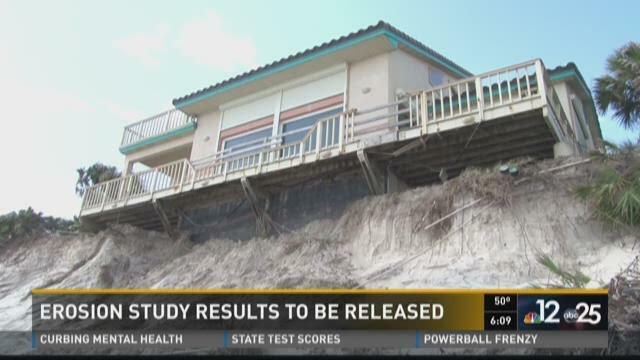 ST. JOHNS COUNTY, Fla. -- First Coast News has learned that a major study about erosion along northeast Florida is about to be released. And that information could reveal what – if anything – the federal government's plans are to help critically eroded beaches in St. Johns County. That was welcomed news to Vivian Browning, a realtor and resident of Vilano Beach. "The oceanfront owners over these last years have had to consider erosion," Browning said. However, she said the beach by the Vilano Town Center has fared well when it comes to erosion. NEPTUNE BEACH, Fla. -- A Neptune Beach woman reported missing Friday evening was located at UF Health Jacksonville after 8 p.m., authorities said. Natashia Shala Mathis, 38, had last been seen about 11:30 a.m. Thursday on Atlantic Boulevard. Police were searching for Mathis, who's had both legs amputated at the knee and rides a motorized chair, because she had left her chair charger and her medication at her hotel room. ATLANTIC BEACH, Fla. -- A local fisherman got the catch of the day after capturing a great white shark on camera in Jacksonville Beach. 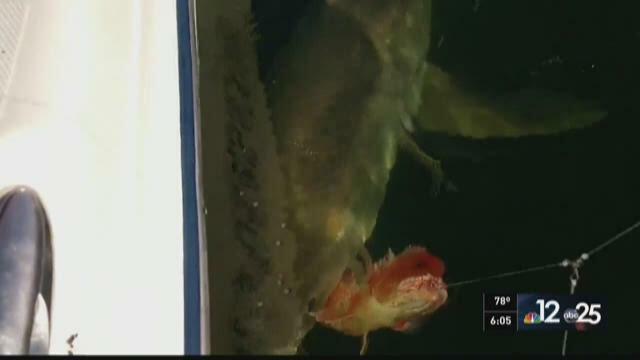 It was an ordinary day for Chad Starling and his fishing charter last Saturday until out of the water came something he never expected followed by questions about whether his actions were even legal. "The entire time I was more excited than anything, fear was never an issue," said Starling, a captain with Team Buck Rogers Fishing Charters in Atlantic Beach. ATLANTIC BEACH, Fla. -- Like Jacksonville, Atlantic Beach has gone down the road of debating a human right ordinance including protections for sexual orientation. The difference is, the beach community adopted one. In August of 2014, the city approved a measure after nearly a year of intense debate. Since then, records show, no one has filed a complaint alleging discrimination. The process involves a person filing a complaint with the city clerk and then calls for a mediator to sort out the facts. "Doesn't surprise me personally. Don't think had an issue in the first place," said Atlantic Beach Mayor Mitch Reeves, who was not in office when the ordinance was initially adopted. 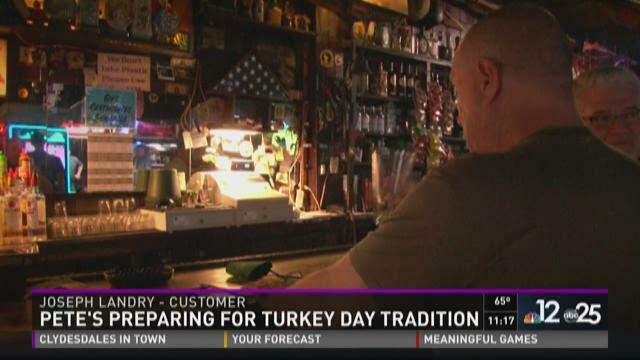 NEPTUNE BEACH, Fla. -- On Thanksgiving morning, 1st Street in Neptune Beach will be packed for a local tradition that's grown to attract thousands of people from all over. It's the annual Pete's Bar Thanksgiving gathering. "It's a friend and family oriented event. I think last year we got close to 20,000 people out here," customer Joseph Landry, who's been going to the bar for six years. Landry said he couldn't think of a better way to celebrate Thanksgiving than at the bar's annual street party. "You see a lot of diversity and crazy hats," said Landry. JACKSONVILLE BEACH, Fla. — A 15-year-old girl reported missing out of Jacksonville Beach Saturday evening was later found to be with her father in Georgia, police said. Ciara Nichole Mullins was staying with her grandmother, according to the Jacksonville Beach Police, when she climbed out the window and ran away. She later called her grandmother to say that she was OK, and not long after the police department received a call from Mullins' father. He said that the girl was with him in Georgia in his Winnebago, police said. The father wasn't supposed to have any contact with the 15-year-old, but had trouble getting police to where he was because he was in a parking lot. Georgia police were working to find the spot so they could retrieve Mullins.